Cathedral and Milgrain Crossing Diamond Engagement Ring with Pave Setting | Shane Co. 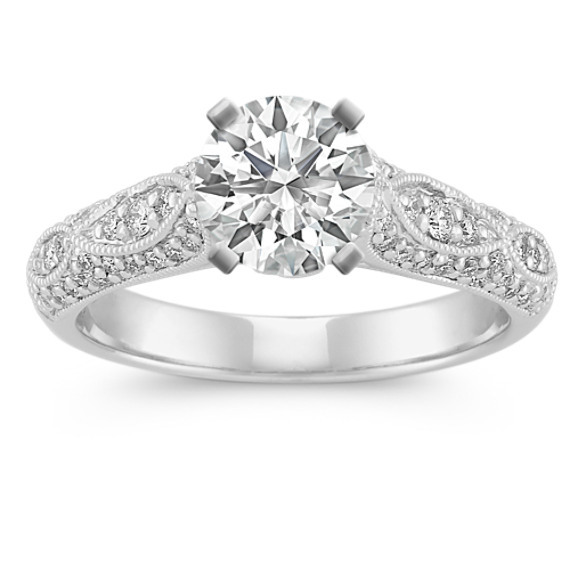 This dazzling cathedral engagement ring combines round diamonds with intricate milgrain detailing. Sixty-two round pavé-set diamonds, at approximately .40 carat total weight, are set in an exquisite 14 karat white gold setting. This elegant design awaits the center diamond of your choice.